You are here: Home » Ramadan » Becoming a World Cup winner – the Muslim way! Becoming a World Cup winner - the Muslim way! The World Cup Final is today! As we prepare ourselves to watch this culmination of the last few weeks of matches, here are some thoughts to ponder upon by Nazmina Dhanji (penned by Shaheen Merali). It is World Cup season at the moment; a special time which only comes once every four years. Everything has a season, if we look at it. Agriculture has its seasons, for example there is a certain time to weed, to prepare the soil to plant the seeds, to irrigate it and finally to reap the fruits and harvest it. Studies have seasons too – there is a time for learning, then a time for revising, a time for exam taking and then a time for rest. Likewise, our relationship with Allah has seasons. There is a time for centering ourselves and returning to Allah (Hajj), a time for irrigating our hearts with tears and learning from the sacrifices of our Aimma (Muharram), a time for putting our learning into action, and there is Ramadhan. What do you think this is a season for? Allah tells us the purpose of the season of Ramadhan in the Quran: “O you who believe! Fasting is prescribed for you, as it was prescribed for those before you, so that you may become God-Conscious.” (2:183) The key word to look at here is ‘may’, or otherwise translated as ‘perhaps’. As with those who enter the football competition, there is no guarantee as to who will be successful! 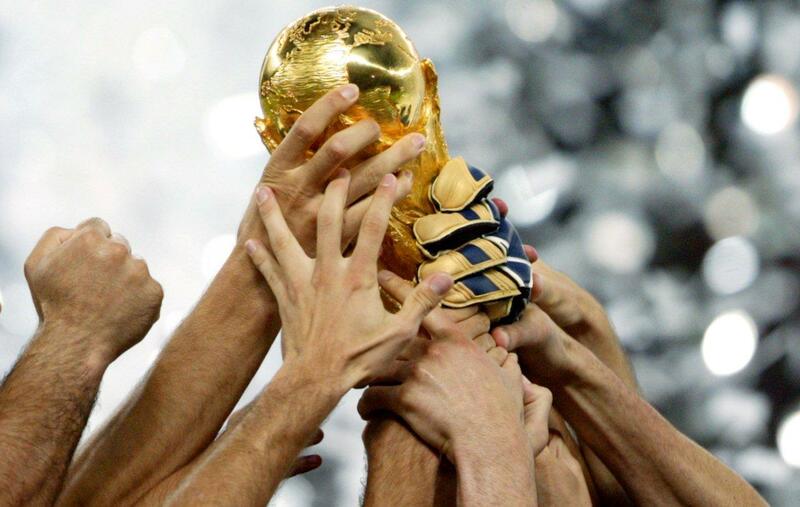 Just like the goal of the World Cup is the trophy and title of winner at the end, so our goal in this month should be taqwa, God-Consciousness, and this should be lasting in us even after the month is over, just like the title holders are known as the World Cup winners forever. Some may attain this goal, and some may not; but Allah’s doors and the opportunity to try is open to all. Will we make it past the qualifying round? It all depends on what we put in. The teams for this competition have dedicated full-time training to the cause, starting way before the actual competition. Did we start thinking and spiritually preparing before the month (and not just filling our freezers)? Winning teams go in with the attitude that they WILL make it to the end – no winning team started off expecting to go out in the first round – they were in it for the win. They are fully committed to the game and love it with a passion – rough and filled with knocks and injuries as it may be. Likewise, the winners in the eyes of Allah are those that embrace this month of fasting with all it’s hardships – knowing that it will be well worth it in the end. During the period of the competition they ensure they keep up with their intense training and exercises, not allowing anything to distract them; similarly, those who succeed in this month ensure they keep distractions to a minimum (Facebook, Twitter, Instagram, social events, TV, etc) and keep up their Ibadah to a high level. Unlike the World Cup winners though, who will only go home with a certain amount of money, a trophy and status for a while, the winners with Allah will be given from an unlimited and undefined bank – He is Al-Jawad and Al-Wahaab, He just keeps on increasing and giving. Not only that, but in Hadith-e-Qudsi Allah says “Al-Sawmu lee wa ana ujuzi’u bihi” which can be translated in two ways. It can mean “Fasting is for Me and its reward is with Me” or even better, “Fasting is for Me and I am its reward.” In essence, Allah is saying leave the reward to His discretion – we cannot even begin to put a price tag on it and it is proportionate to our efforts. What an amazing thing to work towards! In the few weeks that remain of this fantastic season, let us remind ourselves of the goal and work towards that. Fasting is not the goal in itself, just like playing football for the sake of playing isn’t the ultimate goal. The goal is to win, and gain an awareness of God’s presence that ultimately affects our thoughts and actions for the better during this month and beyond. May Allah give us the tawfeeq to win in this month, Inshallah!